Last week, we discussed the eyewitness testimony for Jesus by demonstrating the validity of the Gospel records. 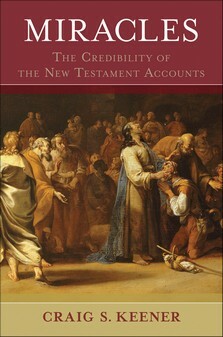 Such an endeavor was important to establish particular witnesses found within the Gospel accounts. We have seen that one holds good reasons for accepting that the apostle Matthew had, at least in part, a hand in the writing of the First Gospel; that John Mark wrote down the information found in the Second Gospel; that the physician and co-hort of Paul—Luke—wrote the third Gospel; and that the apostle John wrote the Fourth Gospel. But, how does this influence the eyewitness testimony that one holds for Jesus of Nazareth? As noted last week, Irenaeus notes that “Matthew also issued a written Gospel among the Hebrews in their own dialect, while Peter and Paul were preaching at Rome, and laying the foundations of the Church. After their departure, Mark, the disciple and interpreter of Peter, did also hand down to us in writing what had been preached by Peter.” Thus, the church unanimously accepted that John Mark recorded the testimony of one Simon Peter. The Gospel of Mark does focus quite a bit on the life of Simon Peter. Of the information in Matthew’s Gospel believed to have been taken from Mark, the majority of the shared material deals with the life of Simon Peter. Thus, the believer has essentially the eyewitness testimony from one of the inner circle disciples—Simon Peter. Last week, we noted that despite the skepticism of some modern scholars, the majority of internal and external evidence for the Fourth Gospel demonstrate that the apostle John wrote the text. It has always amazed me how one misses John’s imprint in the Fourth Gospel. In John 21:1-2, the writer lists Jesus’ appearance to seven disciples “Simon Peter, Thomas (called the Twin), Nathanael of Cana in Galilee, the sons of Zebedee, and two others of his disciples were together” (John 21:1-2). It is interesting that John the son of Zebedee is never explicitly listed, but rather this “disciple who Jesus loved” (John 21:7). It was Peter and this mysterious disciple who traveled to the tomb of Jesus. Who else would one imagine accompanying Peter to the tomb other than John the apostle? In fact, John the apostle is linked to being the caretaker of Jesus’ mother after Jesus’ death by the early church fathers. Among the writings of the early church fathers, there is a letter written by Ignatius to John the apostle. These writings are normally attributed to the late first-century. Nevertheless, Ignatius writes, “There are also many of our women here, who are desirous to see Mary [the mother] of Jesus, and wish day by day to run off from us to you, that they may meet with her, and touch those breasts of hers which nourished the Lord Jesus, and may inquire of her respecting some rather secret matters.” Even if the letter is spurious, it demonstrates the early acceptance of the idea that John the apostle assumed the role of caretaker of Mary, the mother of Jesus. This mysterious disciple whom Jesus loved is also linked with being the caretaker of Mary, the mother of Jesus in the Fourth Gospel (John 19:26-27). Then, the Gospel states as a postscript, “This is the disciple who is bearing witness about these things, and who has written these things, and we know his testimony is true” (John 21:24). What this tells us is that we have another witness by an inner circle disciple. Even if John was written by a disciple of the apostle, we would still have eyewitness testimony about Jesus since the apostolic witness would have been recorded. The first few chapters of Luke’s Gospel relays information pertaining to the birth of Jesus and the experiences that Mary, the mother of Jesus had before Jesus’ birth. Robert Stein states that “It is clear from the first chapter of Matthew as well as the traditional nature of the material in Luke 1–2 that Luke did not create all this material.” Luke records the Magnificat (Mary’s Song of Praise) in Luke 1:46-55. In addition, the Evangelist records particularly intimate details about Mary such as the time when Mary “treasured up all these things, pondering them in her heart” (Luke 2:19). Since this material is not original to Luke and since pagan myths do not account for the inclusion, it seems to me that the most likely explanation is that Luke received the eyewitness testimony of Mary, the mother of Jesus for the beginning of his Gospel. Thus, I would argue that one has the eyewitness testimony of Mary in Luke’s Gospel, which further adds to the testimony found within the Gospel narratives. Undoubtedly, there are many more witnesses than those presented in this article. Nevertheless, one may still remain skeptical. It is quite apparent that not everyone will accept all of my conclusions in this article. But let it be said that even if one does not accept the evidence listed in this section of our presentation, one still must accept the early eyewitness testimony found in the pre-New Testament creeds and formulations. Therefore when coupled with the Gospel accounts, the eyewitness testimony for Jesus of Nazareth is quite good. Jesus of Nazareth passes the eyewitness testimony examination of the historical method. Our investigation is not quite yet complete. Next week, we will examine two other areas of historical research offered by New Testament scholar Michael Licona. Thus far, Jesus of Nazareth has withstood the scrutiny of the historical method. Will he continue to remain standing after these final two areas of research? Check back next week to find out. © February 8, 2016. Brian Chilton. Last week, I discussed the second way that historians examine the legitimacy of a historical event by researching enemy attestation. The article demonstrated that Jesus of Nazareth passes such a test. This week, we discuss a third historical method that helps historians determine the historicity of an event…embarrassing admonitions. Gary Habermas and Michael Licona write that “an indicator that an event or saying is authentic occurs when the source would not be expected to create the story, because it embarrasses his cause and ‘weakened its position in arguments with opponents’.” In other words, if a person provides information that would harm his or her cause, then the claims adds to the historical certainty that such an event took place or that such a statement was spoken. Another admonition that would have been embarrassing for the early Christian movement was the claim that the early church leaders, even those of prime importance, fled when Jesus was tried. Consistently, the four canonical Gospels indicate that the male disciples fled while the women remained with Jesus. Women were also listed as prominent disciples in the early church movement (Rom. 16:1-3, 7, 12; Phil. 4:2-3; 1 Cor. 16:19). Mark, generally held to be the earliest Gospel, notes that one Joseph of Arimathea “a respected member of the council, who was also himself looking for the kingdom of God, took courage and went to Pilate and asked for the body of Jesus…And when he [Pilate] learned from the centurion that he was dead, he granted the corpse to Joseph” (Mark 15:43, 45). We already noted how that first-century Palestine, as well as the rest of the Greco-Roman society, was patriarchal in scope. Lesley DiFrancisco notes that “In the patriarchal societies characteristic of this time, men had social, legal, and economic power. Although women could achieve some status through marriage and motherhood, they were often dependent on men.” Here again, it would not make sense to have the women as the first witnesses of the resurrected Christ unless it actually took place in that fashion. So far, Jesus of Nazareth and the early Christian movement have stood strong with the historical methodology employed. But, we are not done yet. Next week, we will examine the fourth aspect of the historical method: early testimony. Just how early are the sources that we possess? Join us next week as we find out. © January 11, 2016. Brian Chilton. Gary R. Habermas and Michael R. Licona, The Case for the Resurrection of Jesus (Grand Rapids: Kregel, 2004), 38. As we come close to a Christian holiday, people often begin to ask, “Can we know that these events actually took place?” When it comes to Christmas, greater ambiguity exists as to particular elements pertaining to the life of Jesus (e.g. the date of Jesus’ birth) than it does for Easter. Part of this comes from the fact that the Gospels are part of a literary genre known as “bioi” (Licona 2010, 203), or ancient biographies and only focused on the core attributes of the person’s life. While we may not know the precise date of Jesus’ birth with great certainty, this doesn’t mean that we cannot know the most important aspects of Jesus’ life. Many skeptics will ask during the holidays, “How is it that we can know that anything actually took place in history? What can we know about the life of Jesus?” This article will provide a brief—and that is an understatement—evaluation about how history is evaluated and what can be known about the historical Jesus. Skeptics will often claim, “We cannot know anything about history because we cannot know that the person recording a particular event is telling the truth.” This mentality is termed historical subjectivism which is defined by Norman Geisler as the argument “that the substance of history, unlike that studied by empirical science, is not directly observable” (Geisler 1999, 318). But if this is the case, then nothing past the present moment can truly be known with any certainty. What about that precious childhood event that shaped you? Well, extreme historical subjectivists would claim that such an event is unprovable as it is possible that you just thought that the event took place. Taken to its conclusion, the historical subjectivist has no means of knowing whether George Washington was truly the first President of the United States or whether King Henry VIII actually initiated the English Reformation. The historical realist believes that history is knowable. Historians obviously fit within the historical realist category. Luckily, there are ways that an event and/or person is deemed “historical.” The historian uses certain methodological tools to gauge the tenability of an event of history. How is an event determined “historical”? Since history is by its nature unobservable, the historian must gauge the probability that an event occurred or that a person lived. Nothing can be known with 100% certainty—not even scientific theories. Thus, history is gauged by the probability that what is written is true. These tools include, but are not limited to, the following. -Multiple, independent sources (Habermas & Licona 2004, 37)—that is, several voices addressing the same event and/or person. –Enemy attestation (Habermas & Licona 2004, 37) comes from the enemy of the historical person or movement being studied. One can claim bias by a supporter, but if an enemy says the same thing about a person then the person(s) involved in an event can be deemed historical. -“Embarrassing admonitions” (Habermas & Licona 2004, 38) are statements that are given in a history and/or biography that would bring embarrassment to the writer and/or movement. -“Eyewitness testimony” (Habermas & Licona 2004, 39) is the account of those who witnessed the event and/or person being studied. -“Early testimony” (Habermas & Licona, 39) refers to the time that the biography and/or history is written as compared to the event and/or person being addressed. Thus, a writer in the 1700s would hold more credulity than a person writing in the 2010s about the real life of John Adams. –Arguments to the best explanation (Licona 2010, 108) refers to whether a hypothesis pertaining to an event of history holds the best explanation or whether alternatives do. Licona adds that this practice includes “Explanatory scope…Explanatory power…Plausability…Less ad hoc…[and] Illumination [sic]” (Licona 2010, 109-110). Space will not permit the explanation of these divisions, but may be addressed in future posts. -Arguments from statistical inference (Licona 2010, 114) is the practice of weighing the possibility that a certain person, fact, or event is more probable than not. So, what can we know of Jesus using these practices? Using these methodologies, what can we know about the historical Jesus? “1) Jesus died by Roman crucifixion. 3) Soon afterward, the disciples were discouraged, bereaved, and despondent, having lost hope. 4) Jesus’ tomb was found empty very soon after his interment. 6) Due to these experiences, the disciples’ lives were thoroughly transformed, even being willing to die for this belief. 7) The proclamation of the resurrection took place very early, at the beginning of church history. 8) The disciples’ public testimony and preaching of the resurrection took place in the city of Jerusalem, where Jesus had been crucified and buried shortly before. 9) The Gospel message centered on the death and resurrection of Jesus. 10) Sunday was the primary day for gathering and worshipping. 11) James, the brother of Jesus and former skeptic, was converted when, he believed, he saw the risen Jesus. 12) Just a few years later, Saul of Tarsus (Paul) became a Christian believer due to an experience that he believed was an appearance of the risen Jesus” (Habermas 2003, 9-10). That’s quite a bit! But, Habermas also notes that if one accepts the early creeds and early writings of the church fathers, then one can also know that “Jesus was born of Mary (Ignatius), who was a virgin (Ignatius; Justin), and he had a brother named James (Josephus). Jesus was born in the city of Bethlehem, located about five miles from Jerusalem, and it is recorded that his birth could be verified by the records of Cyrenius, who was the first procurator of Judea (Justin). Later, Jesus was visited by Arabian Magi, who had first seen Herod (Justin). He was also from the town of Nazareth (creeds: Acts 2:22; 4:10; 5:38)” (Habermas 244). Seeing that history is knowable, that history can be verified by particular methodologies, and the wealth of information that can be known of Jesus of Nazareth using these methodologies, the Christian should take comfort in knowing that his or her faith is based upon actual events. So, when the believer celebrates this holiday season, they can worship with the full weight of trust in the biblical record without worrying about the doubts that the skeptics may bring. Enjoy the holidays and remember…Jesus is truly the reason for the Christmas season! © December 13, 2015. Brian Chilton. Habermas, Gary R. The Historical Jesus: Ancient Evidence for the Life of Christ. Joplin, MO: College Press, 1996. Posted on December 13, 2015 December 15, 2015 Categories Apologetics, Christian apologetics, HistoricalTags Bellator Christi, Christmas, Easter, exist, Gary Habermas, Historical Jesus, Historical methodology, Historical realism, Historical subjectivism, History, Jesus Christ, Jesus of Nazareth, Jesus of Nazareth exist, minimal facts, Pastor Brian Chilton3 Comments on What Can We Historically Know about Jesus of Nazareth? For those who do not know my testimony, I left the ministry for seven years due to great doubts pertaining to the truthfulness of Christianity. I nearly became an agnostic…in fact, I seriously teetered with the idea for some time. My agnosticism wasn’t that I didn’t think that God couldn’t exist, but rather that I wasn’t sure that one could know God completely. This doubt was fueled by the lack of answers I was given by Christian leaders against the skeptical claims of the Jesus Seminar. However, another element intensified the doubts that I possessed—Christian hypocrisy; that is to say, Christians who claimed to be devout but dismissed Christian teachings when it was convenient for them. Could I devote myself to something that held so many that refused to take its claims seriously? I am not alone. In fact, one of the top-5 excuses given by those who do not want to attend church pertains to “those hypocritical Christians!” To make matters worse, the truthfulness of Christianity is often gauged by the behavior of its adherents. But is this a legitimate? Is the truthfulness of a movement based upon the actions of its adherents? As God brought me back to a strong faith which led me back into the ministry by apologetics, I learned that truth is transcendent. That is, truth exists beyond the scope of human opinions and/or actions. The truthfulness of any movement is found in four realms. It is within these realms that Christianity should be tested and not the actions of some of its so-called adherents. 1. Truth is transcendent in its reality. Truth is not something that works for one person and not for another. Norman Geisler defines truth as that which “can be understood both from what it is and from what it is not” (Geisler 1999, 741). I really like the Greek term aletheia. It is the term that is translated as “truth.” Louw and Nida define the term as the following: “ἀλήθεια, ας f: the content of that which is true and thus in accordance with what actually happened—‘truth.’” (Louw and Nida 1996, 672). In other words, truth is defined as that which is in accordance to reality. Jesus uses the term aletheia when saying the “you will know the truth, and the truth will set you free” (John 8:32). In this one simple teaching, Jesus notes that truth exists, truth is knowable, and that truth is transformative. It can be demonstrated that Jesus is a historical person and that the New Testament is reliable. It can be demonstrated that God’s existence is a necessity. Thus, certain truths presented in the Bible can be supported by evidence. The reality of these truths transcends the bad behaviors of those claiming to be a Christian. As this pertains to bad behavior with some of a movement’s adherents, one should note that truth transcends bad behavior. Allow me to illustrate. I am a huge Green Bay Packers fan. I love the team, I love the family atmosphere, I love that the team is in a small town, and I love the great history with the franchise. Nevertheless, the team can have a few bad moments. For instance, on January 18, 2015, the Green Bay Packers led the Seattle Seahawks in the NFC Championship game 19-7 entering into the 4th quarter. However, disaster struck and the Packers ended up losing to the Seahawks 28-22 in overtime. The Seahawks would go on to the 49th Super Bowl and Packers fans were left wondering, “What happened?” But, does this one bad play negate the 13 championships that the Packers had previously won? Does the one bad play negate the history of the team beginning on August 11, 1919 in a “dingy second-floor editorial room of the old Green Bay Press-Gazette building, located on Cherry Street in downtown Green bay” (www.packers.com/history/birth-of-a-team-and-a-legend) by the Indian Packing Company? The obvious answer is “no.” The history of the team transcends one bad game. The same is true for Christianity. The bad behaviors of some Christians do not discredit the historical reality of Christianity. 2. Truth is transcendent in its founder. If one desires to know the truthfulness of a particular movement, one should evaluate the founder of the movement. For instance, if one desires to know why Protestantism began, then one needs to evaluate Martin Luther, John Calvin, and the early reformers. Why did they split from the Catholic Church? If one desires to know about Buddhism, then one should desire to know more about Siddhartha Gautama, better known as the Buddha. The same is true with Christianity. If one desires to know about what Christianity stands for, look to its founder. What did Jesus say about himself? While space does not allow us to provide a full treatment of this issue, a person can tell a great deal about Jesus claim in saying, “Let not your hearts be troubled. Believe in God; believe also in me. In my Father’s house are many rooms. If it were not so, would I have told you that I go to prepare a place for you…I am the way, and the truth, and the life. No one comes to the Father except through me” (John 14:1-2, 6). Or, “God so loved the world, that he gave his only Son, that whoever believes in him should not perish but have eternal life” (John 3:16). Paul, a former enemy of Christ and later servant for Christ, wrote pertaining to Jesus that “he made him to be sin who knew no sin, so that in him we might become the righteousness of God” (2 Corinthians 5:21). Look to Jesus for the case for Christianity and not to the bad behavior of some who claim to be of Christ. 3. Truth is transcendent in its claims. The truthfulness of any religion or philosophy must be held by the claims made by the particular belief system. Christianity holds to certain foundational tenets: 1) the truth is knowable, 2) God exists, 3) God created all, 4) humanity is fallen, 5) Jesus came to redeem humanity through his crucifixion and resurrection, 6) salvation is found in Jesus, and 7) God will judge the living and the dead. Do the claims of Christianity match with reality? A full treatment of this topic is not possible within one article. However, to find the truthfulness in Christianity’s claims requires one to investigate the essence of truth. Is truth knowable? To claim that truth is unknowable is a self-refuting claim, thus one can assert that truth is a reality and knowable. Second, God’s existence is a necessity as the existence of anything would require a transcendent intelligence: this supports the 2nd and 3rd tenets. Third, it is a certainty that human beings are not perfect individuals and are capable of doing great evil; making the 4th tenet intelligible. Jesus of Nazareth is a person of history. Manuscript evidence as well as other historical methods demonstrate great reasonability to the 5th tenet. If the first 5 tenets are true, then this lends credence to the 6th and 7th. An investigation of such claims requires much more depth than what is allowable in this article. Nevertheless, one should note that the truthfulness of Christianity does not rest upon its adherents, but rather upon the truth claims presented by Jesus and the early church. 4. Truth is transcendent in its parameters. As this article has addressed the issue of truth compared to the bad behaviors of particular adherents, it should be noted that truth itself provides parameters. If someone were to ask for a wooden pencil, certain parameters must be met. The thing must be a writing instrument. The instrument should contain lead. The instrument should be made from a wooden casing. These are the parameters that constitute what is commonly known as a pencil. It should be noted that certain things are expected from one who is considered to be a Christian. Certain parameters exist for a person to be considered a “Christian.” The apostle John in his first letter provides certain parameters that a genuine Christian will possess. They are: holiness (1 John 3:9; 5:18); love for others (1 John 4:7); acceptance of the truth found in Jesus (1 John 5:1); perseverance in one’s faith (1 John 5:1); and the testimony of God through the Holy Spirit’s presence (1 John 5:9-10). These parameters help one to determine those who are truly from God and those who are not (Matthew 7:15-20). Have you been hurt in church? Have you been hurt by a person who claims to be a Christian? There is a saying that says, “Don’t throw the baby out with the bathwater.” When one dismisses Christianity due to the bad actions of those claiming to be of Christ, a person does precisely just that. They dismiss claims that are transcendent due to individuals who may or may not be of Christ, or may be those who have simply lost their way. Understand that God’s existence and the truthfulness of Christ are a reality. If you have been hurt, incline yourself to the healing hands of God. For it is Christ who says, “Come to me, all who labor and are heavy laden, and I will give you rest. Take my yoke upon you, and learn from me, for I am gentle and lowly in heart, and you will find rest for your souls. For my yoke is easy, and my burden is light” (Matthew 11:28-30). If you learn the transcendent truth found in Christ, you may find that you will be given the power to forgive those who have hurt you and help transform a bad situation into a much better one. “Birth of a Team and a Legend.” Packers.com. Accessed September 21, 2015. http://www.packers.com/history/birth-of-a-team-and-a-legend.html. This is not meant to degrade anyone. Many of those leaders had not been met with such questions. This should, however, show the great need for apologetics in the modern church. Some hold that the statement is that of the apostle John summarizing Jesus’ earlier statements in the chapter. Nonetheless, the words relate back to the teaching of Jesus so they are still genuine to the teachings of Christ. Aristotle, the famed ancient Greek philosopher, wrote On Rhetoric in the 4th century BC. Aristotle writes on how one can build a strong case that will be coherent, persuasive, and winsome. In Christian apologetics, it is imperative that one build a strong case for Christianity. Often, apologetic antagonists will claim, “No one was argued into the kingdom.” Yet, it seems that more and more people are being illuminated by the Holy Spirit through the use of arguments stemming from the apologetic renaissance. In fact, the pages of Scripture, one will find Christian case-makers arguing for the truths of Christ. In On Rhetoric, Aristotle provides three important aspects of persuasion. These three aspects are called the ethos, pathos, and logos. Interestingly enough, Jesus himself demonstrated these attributes as he led people to faith. This article will examine Aristotle’s three attributes of persuasion and will show how Jesus used these attributes to powerfully argue for his identity as Messiah. The first attribute of persuasion is that of ethos (literally “character”); that is, the moral integrity of the speaker. English contrives its word “ethic” from the term “ethos.” Aristotle writes that the “orator persuades by moral character when his speech is delivered in such a manner as to render him worthy of confidence; for we feel confidence in a greater degree and more readily in persons of worth in regard to everything in general, but where there is no certainty and there is and there is room for doubt, our confidence is absolute” (Aristotle, On Rhetoric I.2.4). To have value, the speaker must demonstrate authority and character. These two attributes are found in one simple term—integrity. By what authority does the speaker present his/her case? Why should I listen to such a person? Does a person live by what he/she speaks? Many a great communicator has lost value because their ethos does not support their theses. In this regard, a persuasive speaker must have authority to speak on the manner in which they address and they also must have the moral character that supports their speech. Carter and Coleman note Aristotle’s categories of ethos in that of “Phronesis—practical skills and wisdom. Arête—virtue and goodness. Eunoia—goodwill toward the audience” (Carter and Coleman 2009, 67). In this regard, the audience determines the ethos of the teacher. In this regard, Jesus demonstrated ethos par excellence, although his adversaries chose to disregard this aspect of Jesus’ teaching. Jesus exemplified phronesis as he consistently outsmarted his opponents. Zuck writes that “Jesus knew the minds of three groups: inquirers, his disciples, and his enemies” (Zuck 1995, 51). Jesus was so good at answering his opponents that after a certain point, “no one dared to ask him any more questions” (Mark 12:34). Jesus also demonstrated arête. Jesus did not provide a commandment which he did not himself keep. He told his disciples to “love their enemies” (Matthew 5:44). Jesus exemplified this commandment as he prayed while being crucified “Father, forgive them, for they know not what they do” (Luke 23:34). Jesus also demonstrated great eunoia by the multiple healings provided to the sick and helpless. If one is to have an impact for God’s kingdom, then such a person will need to demonstrate a strong ethic. A person must have integrity. Without it, nothing that is said will leave an indelible mark on anyone. A great communicator without a strong ethos will fade into the shadows of failure. The second attribute is that of pathos (literally “suffering,” “experience”); that is an emotional connection with the audience. English contrives its words “sympathy” and “empathy” from the term “pathos”. Aristotle writes, “The orator persuades by means of his hearers, when they are roused to emotion by his speech; for the judgements we deliver are not the same when we are influenced by joy or sorrow, love or hate; and it is to this alone that, as we have said, the present-day writers of treatises endeavor to devote their attention” (Aristotle, On Rhetoric I.2.5). While it seems that many have been captivated more by emotionalism rather than intellectualism in modern times, emotionalism is still important. On a side note, let it be known that many a danger has come by speakers who manipulate the emotions without demonstrating the other two components. Hitler, Mousseline, and others have persuaded by appealing to negative emotional aspects (i.e. racism, nationalism, et. al.) without adhering to the other two cornerstones of effective persuasion. That being said, it would behoove the speaker to note the great power found in one’s emotions. If one is to connect with the audience, they must be willing to connect with the listeners emotionally. Much could be said of Jesus’ use of pathos. However, such a treatment extends beyond the scope of this article. Nevertheless, Jesus’ use of pathos is demonstrated most clearly through his use of shared artifacts. “Jesus often made use of shared artifacts by utilizing his knowledge of Scripture, geography, and Jewish history” (Carter and Coleman 2009, 26). If the speaker is to connect with the audience, he/she must find a point of contact just as Jesus did through his parables and Paul did through his missionary ventures. If there is no connection, the most throughout intellectual treatment of a topic may fall on deafened ears. Never negate the power of a good illustration. For the Christian who knows his or her Bible well, the third term will strike a chord, for it is the “logos” (literally “word,” or “from which a thought is expressed or delivered”). English contrives its word “logic” from “logos”. The third attribute considers the logic of an argument. Aristotle writes, “Now, since proofs are effected by these means, it is evident that, to be able to grasp them, a man must be capable of logical reasoning, of studying characters and the virtues, and thirdly the emotions—the nature and character of each, its origin, and the manner in which it is produced” (Aristotle, On Rhetoric I.2.7). Enthymene: an incomplete syllogism made to allow the “audience to ‘connect the dots’ and discover the insight on their own” (Carter and Coleman 2009, 49). Example found in Matthew 10:40, “Whoever receives you receives me, and whoever receives me receives him who sent me” (Matthew 10:40). Syllogismus: “the use of a remark or an image that calls upon the audience to draw an obvious conclusion” (Carter and Coleman 2009, 52). Example found in John 3:14-18, “And as Moses lifted up the serpent in the wilderness, so must the Son of Man be lifted up, that whoever believes in him may have eternal life. For God so loved the world, that he gave his only Son, that whoever believes in him should not perish but have eternal life. For God did not send his Son into the world to condemn the world, but in order that the world might be saved through him. Whoever believes in him is not condemned, but whoever does not believe is condemned already, because he has not believed in the only Son of God” (John 3:14-18). A fortiori: (Latin: “to the stronger”) the use of a commonly held truth to argue for a stronger truth. Exemplified in Jesus’ defense of his healing on the Sabbath, “Does not each of you on the Sabbath untie his ox or his donkey from the manger and lead it away to water it? And ought this woman, a daughter of Abraham whom Satan bound for eighteen years, be loosed from this bond on the Sabbath day” (Luke 13:15-16). Also exemplified in Matthew 18:12-14. Reductio ad absurdium: “a type of logical argument where one assumes a claim for the sake of argument, derives an absurd or ridiculous outcome, and then concludes that the original assumption must have been wrong, as it led to an absurd result” (Carter and Coleman 2009, 55). Jesus’ rebuttal to his adversaries considering him demon-possessed is an example of reductio ad absurdium. Jesus said, “Every kingdom divided against itself is laid waste, and no city or house divided against itself will stand. And if Satan casts out Satan, he is divided against himself. How then will his kingdom stand” (Matthew 12:25-26)? Appeal to Evidence: noting the evidence supporting one’s claims. This is incredibly important for apologetics. Jesus used this type of logic masterfully. Jesus would say, “I am the resurrection and the life” (John 11:25) then go out and raise the dead to prove his statement (as he did in the case of Lazarus). Jesus appealed to several pieces of evidence in John 5: the evidence from the Father (John 5:30-31); evidence from John the Baptist (John 5:32-35); the miracles performed by Jesus (John 5:36); God the Father’s witness (John 5:37-38); and evidence from Scripture (John 5:39-47). As I have noted several times on this site, one must hold intellectual reasons for holding to the faith if one is to be effective in communicating the gospel. This comes by knowing WHAT one believes and knowing WHY one believes it. This somewhat lengthy article has noted three important attributes that should accompany one’s presentation of the truth. One must hold a strong ethos (character), pathos (emotional connection), and logos (coherent argument). It may be possible that one can influence another without all three in place. For the one who holds character without the other two may be a beloved person whose beliefs are held because of the person’s character. Yet, such adherents will not hold a strong connection with the beliefs themselves. They simply inherited the beliefs. One may influence another by strong emotionalism to the detriment of the other two. This is most dangerous as the person may captivate a crowd by one’s charisma. Yet, the adherents will not have a defense for their position and, if the speaker is of low moral virtue, may be captivated by what could quickly escalate to dangerous cultic practices. One may also have high intellectual prowess and may convince others. Yet, without a strong ethos and pathos, the speaker may come across as cold and calloused. A blend of all three attributes is necessary if one is to be both persuasive and winsome in their approach. As noted, Jesus was a master of all three. Aristotle. On Rhetoric. Acheron Press. Kindle. Carter, Joe; and John Coleman. How to Argue Like Jesus: Learning Persuasion from History’s Greatest Communicator. Wheaton: Crossway, 2009. Zuck, Roy B. Teaching as Jesus Taught. Eugene, OR: Wipf & Stock, 1995. © August 30, 2015. Brian Chilton. Could a Big God Care about Small Things? The movie Men in Black features Will Smith as Agent J and Tommy Lee Jones as Agent K. These agents seek out aliens who have immigrated among various societies on planet Earth. One of the memorable scenes in the movie comes from when Agents J and K interrogate an alien hid in the body of a pug named Frank. When asked about a particular item of interest, Frank the pug retorts, “You humans! When are you going to learn that size doesn’t matter? Just because something is important doesn’t mean it is not very, very small.” Wise words from a tiny pup. Atheists and skeptics tend to fall in the same category that Frank the pug describes. Many skeptics cannot fathom how a great God could care about humans who, compared among the scope of the universe, are infinitesimally minute. Could such a God care about the little details of one’s life? As I have defended on this website, one can rest comfortably in the revelations—both natural (from the universe) and specific (given by special revelation by God in the Bible)—given for the existence of God. In like manner, one can rest in the knowledge that such a God cares for each person, even if such beings are infinitesimally small. If God is concerned over small things, then one would expect that God would place a great emphasis on small things. There are multiple small things in the universe that hold great importance. One such example is found in deoxyribonucleic acid (DNA for short). DNA is a polymer made from units called nucleotides. The nucleotides are made up of information called nucelobases. These nucleobases include guanine (G), adenine (A), thyminie (T), or cytosine (C) as well as deoxyribose and phosphates. This information is arranged in such a way to create structures called chromosomes. DNA is responsible for the structure of organs, cellular division, and the transfer of information. DNA is critical for life. If the DNA is found to be in disarray, then life either becomes impossible, or one finds damaging mutations which cause great problems for the living thing suffering from such a mutation. All of this is to simply point out one important truth—DNA, although incredibly small, is of vast importance. Thus, the small yet vastly important nature of DNA designates the Creator’s emphasis on small things. Another example of the Creator’s emphasis on small things is found in the particle structure of the universe. Parts of the universe are made up from the atomic structure. Atoms are made from three components—a proton (positive charge), a neutron, and an electron (negative charge). Atoms make up solid, liquids, gases, and plasma. Without the atomic structure, life would be impossible, and in fact, much of the universe would be impossible. Thus, atoms hold great importance, but are also incredibly small. Most atoms are around 1.67 x 10-27 to 4.52 x 10-25 kg. Or, it has also been suggested that atoms are around 100 pm (a ten-billionth of a meter). The universe is also constructed of a substance called dark matter. At the time of this article, not much is known of dark matter outside of the fact that it is an invisible form of matter which its evidence is inferred from its gravitational effects on visible matter, radiation, and the structure of the universe. Dark matter neither absorbs nor emits light. Scientists suggest that dark matter constitutes around 84.5% of the known universe. While dark matter is also infinitesimally minute, it is of vast importance. The point from this section is found in this—the Creator has placed great importance in small microscopic things. Such is even more apparent when one considers quantum mechanics (e.g. quarks and bosons). Therefore, while something may not be large, that thing may be of huge importance. If one is to concede God’s existence and were to concede the truthfulness of Jesus of Nazareth’s message, then one would find the care that God places on all things great and small. Jesus taught the following in his famous message popularly called the Sermon on the Mount: “Look at the birds of the air: they neither sow nor reap nor gather into barns, and yet your heavenly Father feeds them. Are you not of more value than they” (Matthew 6:26)? Jesus goes on to say, “Consider the lilies of the field, how they grow: they neither toil nor spin, yet I tell you, even Solomon in all his glory was not arrayed like one of these. But if God so clothes the grass of the field, which today is alive and tomorrow is thrown into the oven, will he not much more clothe you, O you of little faith” (Matthew 6:28-30)? Jesus’ teaching is clear. God cares for the most minute of things. Compared to humans, birds and grass seem insignificant. However, God cares for them. One could expand upon Jesus’ message to include DNA, the atomic structure, and the sub-atomic structure. All of these things, while small, are important to God. Therefore, human beings, being made in the image of God, hold great importance to God. So what can we take from this article? The reader can note that everything in life both small and great holds great importance. While we place greater emphasis on the biggest, the strongest, the fastest, and the smartest; God places emphasis on all things—even the smallest, the weakest, the slowest, and the most intellectually challenged. Often, God chooses the small things to demonstrate the greatness of God’s power. The apostle Paul wrote that “God chose what is foolish in the world to shame the wise; God chose what is weak in the world to shame the strong; God chose what is low and despised in the world, even things that are not, to bring to nothing the things that are, so that no human being might boast in the presence of God” (1 Corinthians 1:27-29). Do small things hold worth with God? Most assuredly they do!!! For this matter, we can learn a lot from Frank the pug from Men in Black. Posted on May 26, 2015 Categories Apologetics, Philosophical, Science, TheologicalTags Atomic Structure, Christ, Dark Matter, DNA, God, God's concern, Jesus, Jesus Christ, Jesus of Nazareth, Men in Black, Pastor Brian Chilton, Sermon on the Mount, Small, Small things, universeLeave a comment on Could a Big God Care about Small Things? Recently, I heard the racial remarks made by a principal of a private school during the graduation ceremonies in Georgia. The most troubling matter, to this writer, was not only that a principal allowed herself to spout forth racial comments during what was supposed to be a celebration, but it was that this episode occurred in a church with a big bold cross standing behind her. One may question what all transpired during the meeting. But the episode proves that unfortunately, racism is alive and well in our modern times—much more than individuals would like to presuppose. However, when an individual evaluates the life of Christ Jesus, one will find that Jesus was a barrier breaker. Jesus consistently broke barriers. In John’s Gospel, one will find a particular episode where Jesus spoke with a woman at the well. In this case, Jesus broke at least five barriers. 1. Jesus: the Barrier Breaker of Race. The apostle John denotes that Jesus “came to a city of Samaria called Sychar, near the parcel of ground that Jacob gave to his son Joseph; and Jacob’s well was there. So Jesus, being wearied from His journey, was sitting thus by the well” (John 4:5-6a). John also reports that “It was about noon” (John 4:6b, NIV). Then, “There came a woman of Samaria to draw water. Jesus said to her, ‘Give Me a drink’” (John 4:7). The woman then said to Jesus, “How is it that You, being a Jew, ask me for a drink since I am a Samaritan woman” (John 4:9)? The woman asked why Jesus would even address her. Why? The woman inquired this of Jesus because there existed racial tensions between Jews and Samarians. Jews remained purebred, whereas the Samaritans stemmed from a mixture of Jewish and Assyrian bloodlines. Many Jews did not have any dealings with Samaritans because of this great racial divide. Jesus, however, demonstrated that He is no respecter of persons, meaning that “there is no partiality with God” (Romans 2:11). Jesus does not distinguish between a person who is of a darker and/or a lighter complexion. As the children’s song states, “Jesus loves the little children—red and yellow, black and white, they are precious in his sight. Jesus loves the little children of the world.” If Jesus makes no distinction between races, then why in the world should we??? 2. Jesus: the Barrier Breaker of Religion. The woman at the well challenged Jesus with another barrier that existed between her people and the Jews. She said, “Our ancestors worshipped on this mountain, but you Jews claim that the place where we must worship is in Jerusalem” (John 4:20, NIV). Jesus corrected this problem by noting that “God is spirit, and those who worship Him must worship in spirit and truth” (John 4:24). Often different religious spectrums and backgrounds create barriers. However, in this case, Jesus breaks this barrier with truth. Various denominations focus on varying aspects of the faith. Nevertheless, one needs to understand the essential truths that comprise mere, or basic, Christianity. It seems to me that the time has come where Christians need to lower their minor denominational differences and elevate the core beliefs that comprise the Christian faith. 3. Jesus: the Barrier Breaker of Socio-economics. It is reasonable to posit that this woman was in many ways an outcast. The woman, as noted in John 4:17-18, had been married multiple times. She was probably an outcast in her society. The woman probably barely made it by on the funds that were provided to her. However, Jesus did not come to the most respected person of Sychar. Rather, Jesus came to one of the more despised of Sychar to preach the message of grace and truth to her. When accused of befriending those who were not the best and brightest of society, Jesus responded, “It is not the healthy who need a doctor, but the sick. But go and learn what this means: ‘I desire mercy, not sacrifice.’ For I have not come to call the righteous, but sinners” (John 9:12, NIV). While some only associate with the wealthiest and most successful, Jesus breaks such a barrier. 4. Jesus: the Barrier Breaker of Gender. When the disciples returned, John denotes that the “disciples…were amazed that He had been speaking with a woman” (John 4:27). Why were they amazed that Jesus would speak with a woman? It was due to the custom of the day. It was not proper for a man to speak with a woman in public. Yet, Jesus was not concerned about the traditions as much as He was concerned with the spiritual condition of the woman in question. Christ loves men and women. Salvation is not for men alone. Neither does this promote feminism—a thought process that tends to occasionally exclude men. Rather, Jesus is concerned with the spiritual condition of all people. It is for this reason that “God so loved the world, that He gave His only begotten Son, that whoever believes in Him shall not perish, but have eternal life” (John 3:16). 5. Jesus: the Barrier Breaker of Sin. Jesus did not “beat around the bush.” Jesus directly focused on the woman’s problem—sin. Jesus intentionally said to the woman, “Go and call your husband and come here” (John 4:16). The woman responded and said, “I have no husband” (John 4:17a). Jesus retorted, “You have correctly said, ‘I have no husband’; for you have had five husbands, and the one whom you now have is not your husband; this you have said truly” (John 4:17b). How’s that for political correctness? Jesus exposed the problem. The woman repented, accepted a new life found in Christ’s grace and truth, and was even used as an spokesperson who helped bring the community to faith. Jesus broke down the barrier of sin, but He ultimately broke down the barrier of sin when He died upon the cross for the sin of the world. The apostle Paul notes that “all have sinned and fall short of the glory of God, being justified as a gift by His grace through the redemption which is in Christ Jesus” (Romans 3:23-24). Paul also denotes that it is “by grace you have been saved through faith; and that not of yourselves, it is the gift of God; not as a result of works, so that no one may boast” (Ephesians 2:8-9). Jesus broke these five barriers—and many more at that. Why then should a disciple of Christ seek to rebuild the barriers that Christ has torn down? Is such a one truly acting as a disciple of Christ? It behooves the Christian believer to tear down barriers of racism, expose the truth found in Christ (apologetics) and thereby tearing down the barriers of doubt and cynicism, to demonstrate impartiality to those more and less fortunate than ourselves, to keep from misogynist and feminist motifs that create unneeded strife between the sexes (note that egalitarianism and complementarianism issues are not being addressed here), and furthermore live with integrity and to preach the saving message of Christ. Like Jesus, we should be barrier breakers. © May 2015. Brian Chilton. Scriptures marked NIV come from the New International Version (Grand Rapids: Biblica, 2011).